As 2010 comes to a close I’ve been spending some time reflecting on Latinas in the arts. The emerging and established Latinas that came through our doors this year were fierce and inspiring and I expect nothing less in 2011. Before the clock strikes midnight and the champagne flows I wanted to leave you with something to add to your creative tool box. Here are some things I’d like you to consider as we head into 2011 and keep in the back of your mind. Carve out time to write; make it a priority to nurture your creativity. Take responsibility and own your artistic self and generate new work. Since its inception Proyecto Latina has brought me great joy and inspiration. This year was no exception. We had some fierce and fabulous features as part of our reading series and were excited to see so many smiling faces in the audience. So what’s next for Proyecto Latina in 2011? Well it involves you. I will be asking you, our fabulous family of Latinas, to step up to the plate and take Proyecto Latina to the next phase of evolution. There will be opportunities to guest blog, suggest features for our reading series, volunteer to help us create a stronger infrastructure that provides resources and quality content for our community. As we move forward and strive to create a family of Latina creatives, leaders and innovators we hope you will also spread the word about Proyecto Latina and advocate for Latinas in the arts and beyond. So with this in mind we will be lifting our champagne glasses to lots of creativity in the New Year. 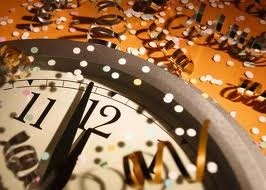 Feliz Año Nuevo to you and your families! We wish you much joy and prosperity in the New Year! Looking forward to all the things to come from Proyecto Latina! Muchas felicidades!